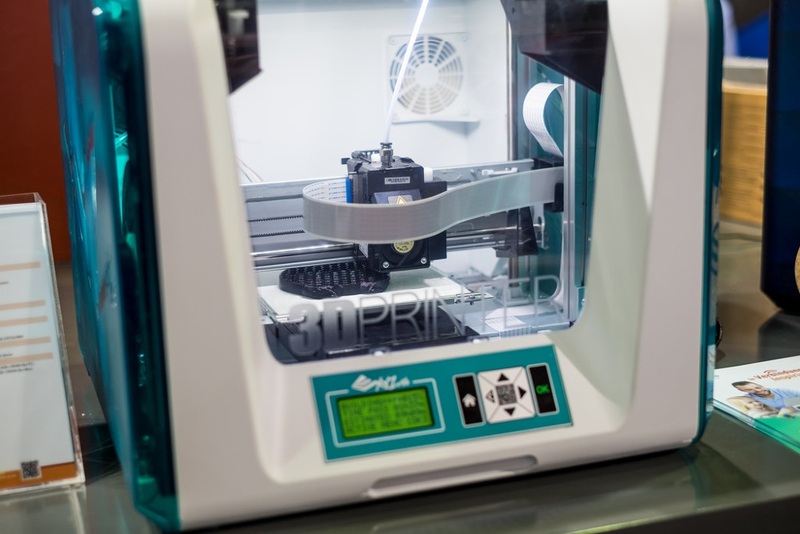 One of the most exciting things to hit any industry in recent years has been 3D printing. The ability to print solid 3D objects is a concept which opens up brand new horizons for countless individuals and fields, and this is both alarming and invigorating. The issue surrounding 3D-printed guns is one which has been known for many years. There are various bills which are in some kind of process, but more on that later. First off, a quick overview of 3D printing. What is it? Three-dimensional digital modeling and subsequent creation – that’s what it’s about. It is the process of taking a digital model and making it into a physical object. It enables quicker access to the market and allows for more accurate experimentation within optimal conditions. You can create many intricate components and objects – big or small – using a good 3D printer. And depending on the material used, these elements can be as functional as anything you already know and trust. This is precisely what is so exciting about it. It opens up the door to many possibilities and empowers the imagination in ways which were hitherto untapped – At least not on the level of the individual, anyway. Research and development is arguably the longest process of any physical endeavor. Or maybe non-physical, too. No idea. Either way, 3D printing has been gaining a lot of attention, and not just because of the firearms-construction capabilities. By creating a model and actually printing it out, one is able to produce a viable tool. The printing itself is done by adding layers on top of one another. Rather than using a process of elimination or subtraction (e.g., cutting solid steel or aluminum to size), 3D printing uses addition and therefore has the ability to use less material in the process. Overall, I can see how this all translates into less waste, less cost, less time, and greater productivity. In that sense, it is nothing short of a revolution. Not because such things have never been done, but because now it is set to become the norm. It won’t come as a surprise to me if 3D printing becomes the go-to method for many industries which currently make use of milling and machining (of some type) to produce their stuff. So, let’s move on to guns. I don’t know the science or history too well, to be honest, but I will give it a shot (pun slightly intended). The guns which are being printed are not complete firearms. 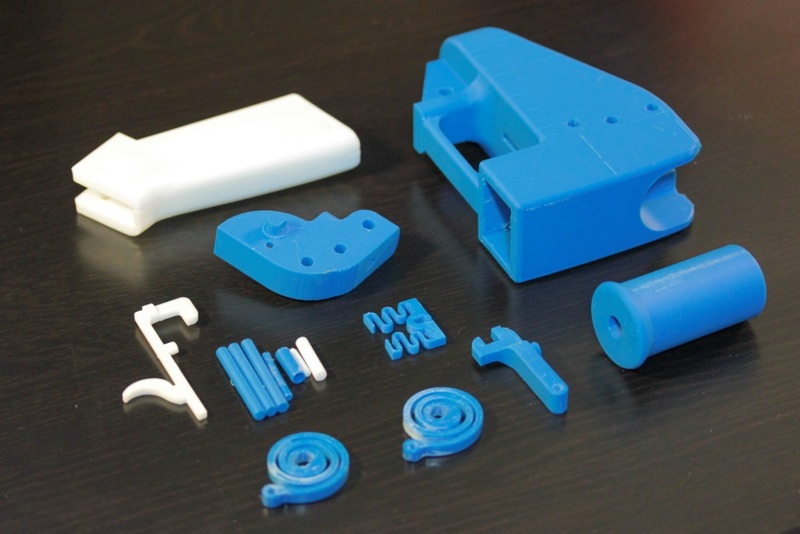 The 3D printer creates elements which – when assembled correctly – come together to produce a working firearm. The printed parts, which are usually plastic, have the capacity to fire ordinary handgun cartridges. The only piece of a 3D-printed firearm which is metallic is the firing pin, though additional metal is added for security purposes. The Liberator, the world’s first 3D-printed gun, was introduced in 2013. I will get more specifically into discussing the Liberator – and its designers and distributors – later in this article. These guns have no serial number, and that is already a HUGE problem. You can’t regulate what you can’t trace, and 3D-printed firearms are untraceable by definition. Any schmoe can get hold of the blueprints and manufacture a working pistol in the comfort of one’s own home. You don’t need a background check, you don’t need to report it, and you don’t need to get a tax stamp of some kind – nothing. The probability of such weapons ending up in the wrong hands is great. Sure, you have law-abiding citizens who wouldn’t dream of using such a piece for anything but self-defense or home-defense, but on the other hand, you have the criminal elements and other parties who would be most interested in keeping such guns in circulation for their own dubious and/or morally questionable or downright objectionable purposes. In November of 2018, a new bill – the 3D Firearms Prohibition Act – was brought forth by New Jersey Congressman Frank Pallone. Essentially, the bill seeks to reform some of the federal regulations and make it so serial numbers and registration are a legal prerequisite for the manufacturing of any 3D-printed firearm. It would make it a felony to manufacture such tools or elements without the proper authorization, and effectively ban the advertisement and use of DIY ‘assault weapons’. The bill is currently being discussed in the House Judiciary and House Energy and Commerce committees of Congress. The State of New Jersey does indeed criminalize possession of unregistered ‘assault weapons’. Other states and municipalities also have their restrictions and regulations. Whether or not possession of 3D guns will be grounds for full-blown criminal charges is something which remains to be seen. Spoiler alert – there are none. Not officially, anyway. Obviously the Dark Web (or Darknet) will be able to provide you with just about anything you could ask for, but there may be some illegal aspects to engaging in such activities. This is why it is advised you use caution and discretion, and – most importantly – that you obey the law. Ignorance of the law does not exempt the individual from incurring any penalties or the fury of a System scorned. Blueprints of 3D guns are available, in spite of a court order which was issued to stop such blueprints from being made readily available. Since this is a matter concerning technicalities and laws – things which are not my forte – I’ll just leave it at that. The next section will hopefully clear some things up for those who are interested. 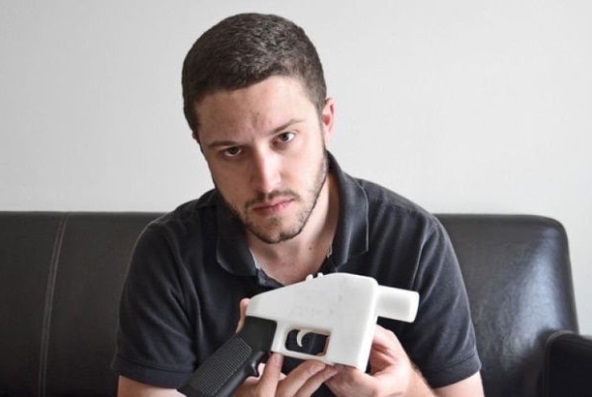 Defense Distributed was founded in 2012 by Cody Wilson, as an open-source 3D-printed-gun company. The goal of the company was to release and subsequently improve its designs for the world’s first 3D gun – the Liberator. Throughout 2012, the company experimented with designs and live fire trials of the Liberator. When the company announced its plans, the U.S. State Department ordered Wilson and his peers to take down the website, for fear that it would be infringing on arms trafficking regulations (national and international alike). In 2015, Defense Distributed filed a lawsuit against the U.S. government in Texas, but was denied. The company appealed to a higher court, but was again denied. The company took the case to the Supreme Court, but the court would not hear the case. In the summer of 2018, it was announced that Defense Distributed had agreed on a settlement proposed by the State Department. This meant that they were free to continue their work. However, a judge quickly ordered the suspension of that settlement. At this time, there are several lawsuits pending. All of them deal with the legality of Defense Distributed’s work, their rights to distribute blueprints, and the suspension or sustainment of the settlement which was achieved. In what some may consider an unrelated event, Cody Wilson was recently indicted for sexual assault of a minor in Texas. 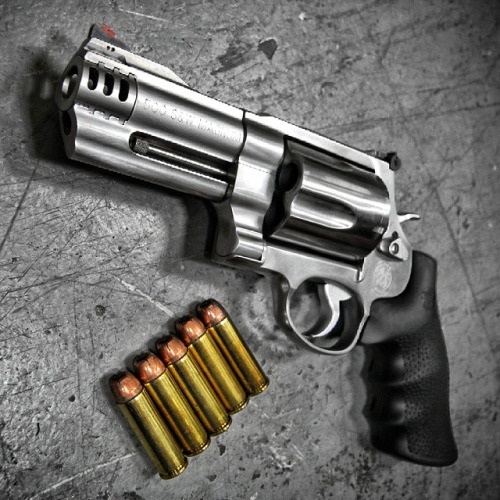 Due to this controversy, Wilson was forced out of his company as founder, though he remains an employee of Ghost Gunner (Defense Distributed’s website). I don’t claim to know the ins-and-outs of the case or anything, but I do find it suspicious that these allegations of sexual assault coincide with the case against Defense Distributed and its founder. Hey, it could very well be an unfortunate coincidence. If there was sexual assault, Wilson belongs in jail, period. That said, I wouldn’t put it past the government or certain “interested parties” to try very hard to keep Wilson down and out. Discrediting him in this way may or may not have an effect on the matter. Only time will tell. As you can see from the direction this article is taking and the words I have used, things are still up in the air. The future of 3D guns is unclear, since it is unfolding before our very eyes. The scene is set, the pieces are moving, but to where? Not clear. It stands to reason that the government will have its way, and that a ban will be put into effect as soon as they can manage it. Second Amendment enthusiasts and activists are not too happy with the situation, but you can’t deny the potential danger of 3D-printed guns. Even the most avid shooter will agree that in certain hands, the ability to print a gun becomes a real danger. No doubt that many will make the claim that firearms are dangerous and that 3D firearms are no different. Likewise, they will cite endless incidents of bloodshed and innocent lives being lost. Nevertheless, it will be up to the government and “we, the people” to come to some sort of understanding. 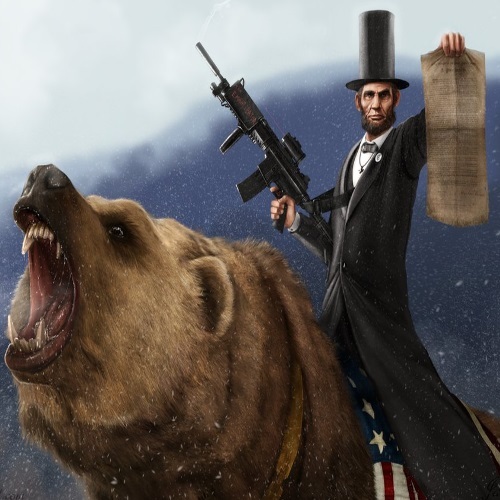 I don’t like certain restrictions which the government puts on the second amendment, BUT you can’t run from the truth. And the truth is that a lot has changed since the Bill of Rights was written, and certain things should be looked at again. It is a slippery slope, either way you look at it. As the capacity to create functioning firearms becomes a matter of common knowledge and ability, some regulations will probably have to be placed. Meanwhile, the eyes of the world are set on the ongoings in the U.S. Congress and House of Representatives. We will have to wait and see where this takes us. Child’s play. Click and point. No CNC experience required. The blueprints are provided by a company, and all you need to do is press a button. This is what 3D-printing offers. The ability to create a working firearm in the privacy and comfort of your own home. The ordinary citizen will simply have to wait. At some point, the dust may settle on this ongoing controversy, and we will be able to address it in a different way. But I don’t expect anything totally new, personally. Governments and governing bodies were put in place to control populations, after all. I am not an anarchist by any means, but it’s true. It’s about control. And in this case, gun control. Sometimes it is necessary, sometimes it is understandable, and sometimes it really is part of a sinister agenda brought on by someone wearing a suit and tie. Will criminals, terrorists, and other malevolent individuals want to take advantage of such printing tech? Absolutely. No doubt. Chances are good that they are already engaging in such practices. This has always been the case. Laws are passed, and people find ways around them. The reality is that the government is usually trying to play catch-up with the manufacturers, not the other way around.